A touch of elegance this Christmas! 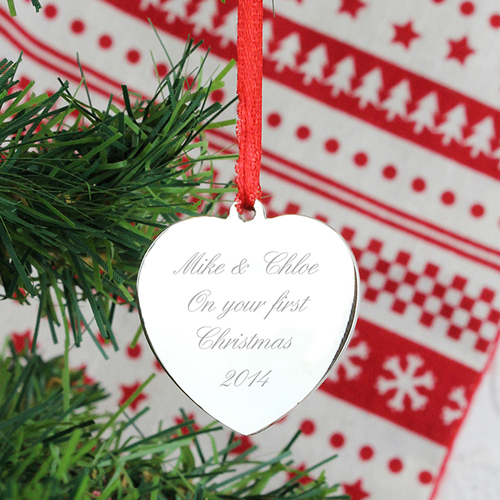 Personalise this Diamante Heart Tree Decoration with up to 3 lines of 15 characters, and a fourth line for up to 5 characters.This delicate Christmas decoration would also make a unique gift tag on that special present to your loved one. The decoration comes with one diamante set into the middle of the front. Personalise with up to 3 lines of 15 characters, and a fourth line for up to 5 characters.